Red-billed hornbill feeding. 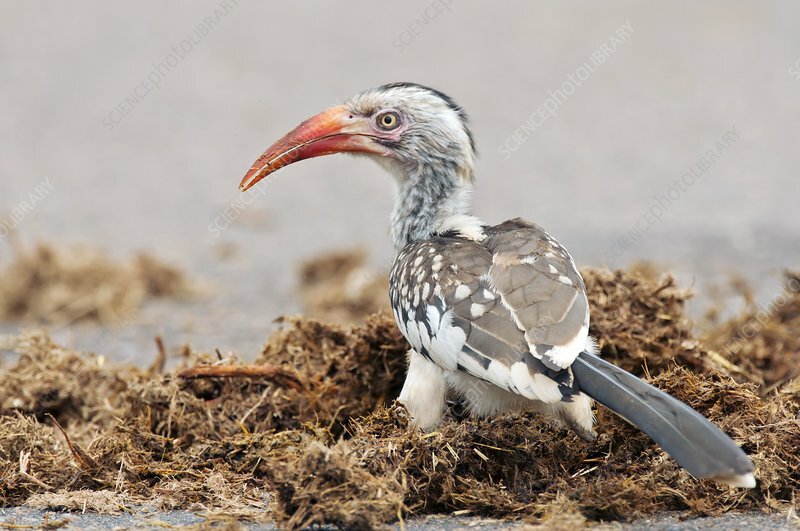 Red-billed hornbill (Tockus erythrorhynchus) eating insects found amongst elephant dung. Photographed in Kruger National Park, South Africa.